Yarmouth, ME - Mrs. Charlotte Elizabeth Knapp (née Mitchum) died peacefully at her home surrounded by the love of her family on May 3 in Yarmouth, Maine. She was 85. Charlotte is survived by the love of her life, her husband Blair Alan Knapp, and her children Elizabeth Anne Olesen (Kevin Casey Olesen) of Portland Maine, Blair Alan Knapp Jr. (Gregory Gordon Greer) of Arlington Virginia, and Lawrence Henry Knapp (Mary Frances Hadley) of Charleston South Carolina; and brother Charles Henry Mitchum (Alberta) of Charleston South Carolina. She endlessly doted over her four grandchildren Jonathon Christian Olesen, Casey Mitchum Olesen, Abigail Marie (Doug) Lenhardt (née Knapp), and Katherine Elizabeth Knapp. Charlotte was born on February 16, 1932 in Charleston South Carolina to Charles Henry Mitchum and Lurline Vera Mitchum (née Spruill). 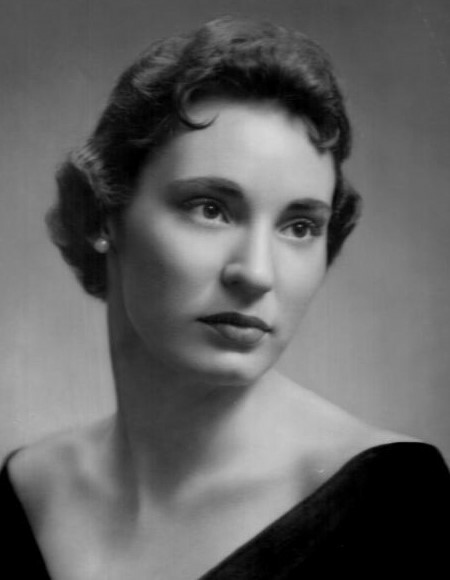 She graduated from the University of South Carolina in 1954 with a Bachelor of Science in Nursing. She would continue this devotion to the caring for others through her entire life, such was her desire to comfort others. After accepting a commission in the US Navy, while serving at Jacksonville Naval Air Station, she met a dashing young Navy pilot, Blair, who swept her off her feet and they began a life together spanning 60 inseparable years. Together, they raised their three children in Boston Massachusetts, Muskegon Michigan, and Cape Elizabeth Maine. In Maine, she and Blair discovered sailing, an activity that would become their passion. During their forty years sailing the New England coast, all who visited enjoyed this passion with them, followed by dinner along the Falmouth waterfront, at Handy Boat, or at the Portland Yacht Club, where they were members for some twenty-five years. In their retirement years, during the winter months, they would head to their second home on Folly Beach in South Carolina where she had lovely gardens that she enjoyed tending to and nurturing each Spring. Charlotte was an avid bridge player, active in two clubs to the last month of her life. She loved tennis, both as a fan and a player. She was fiercely loyal to the Carolina Gamecocks Women’s Basketball team. Family and friends are invited to a celebration of her life on Friday, May 12, at 1PM at the First Parish Congregational Church, Main Street, Yarmouth Maine. A light reception will follow. Those planning to attend are asked to wear a splash of lavender, Charlotte’s favorite color. Those having a fond memory are encouraged to share it during the service at the church. The family would like to thank Visiting Angels, Life Stages, and VNA Hospice for their care and dedication to Charlotte’s quality of life in her declining months. In lieu of flowers, those wishing to express their condolences are encouraged to contribute to the Cancer Community Center, South Portland Maine (www.cancercommunitycenter.org) or the Community Crisis Ministries of the First Congregational Church, United Church of Christ, South Portland Maine (www.fccucc.org/serve/community-crisis-ministries).